Date stamps on weight percent complete are accumulated and reported as percent job complete. Meet compliance and regulation requirement such as Reporting on NDE percent complete. 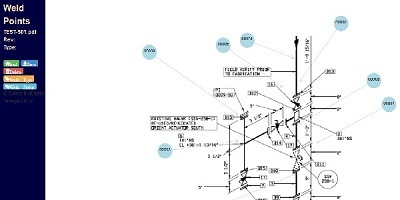 Stamping Weld Points on the Drawings is simply a matter of point and click. Meet ASME requirements of documenting Welder Qualification and Weld Tracing. 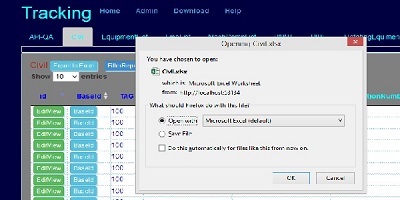 Dynamically adapts to individual preference naming convention in step columns. 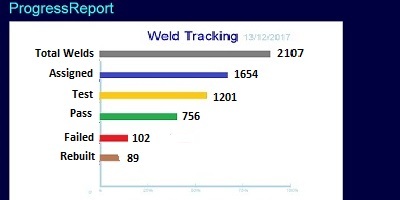 Welder performance is tracked via assignments on Weld Points and result of X-Ray testing. Drawings and other PDF documents such as Manuals, Employee Certificates, Forms etc. uploaded into the system may be viewed with built-in PDF viewer. Drawing revisions are tracked automatically based on import dates as new drawings are uploaded into the system. Keeping track of actual hours spent vs. estimated hours is crucial. Knowing the cost overrun beforehand helps avoid any potential losses. Different progress reports based on Cost Codes, Job Number, Timesheet Group, Systems and Areas are available with just click of a button. Earn Updates may be specified in terms of quantities as well as labor hours. Disciplines are dynamically identified based on task list entries. Summary progress for each discipline including Civil, Mechanical, Electrical, Piping, Welding etc. is being displayed as you navigate through different windows. Easy time entry system automatically generates PerDiem and Overtime based on eligibility and hours worked. Keep tabs on absentees, early out, late-in and scheduled off. 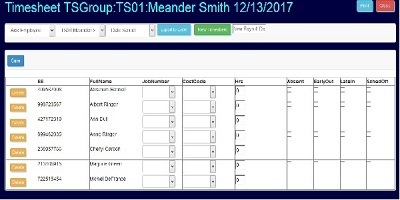 Upload to JDEdward System with customizable column names. Task attributes are extended through Listing module. Extensive database search capability with conditional statements on column values. 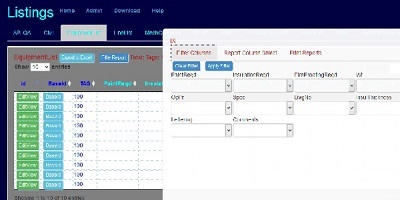 Customize reports with column selections and filter conditions. Attribute names may be changed according to individual preference. Provides ability to group tasks based on different specifications. Task attributes are further extended through Tracking module with milestones and steps of weight percent completed. Date stamps on weight percent complete are accumulated and reported as percent job completed. Column names are changeable based on individual preference.